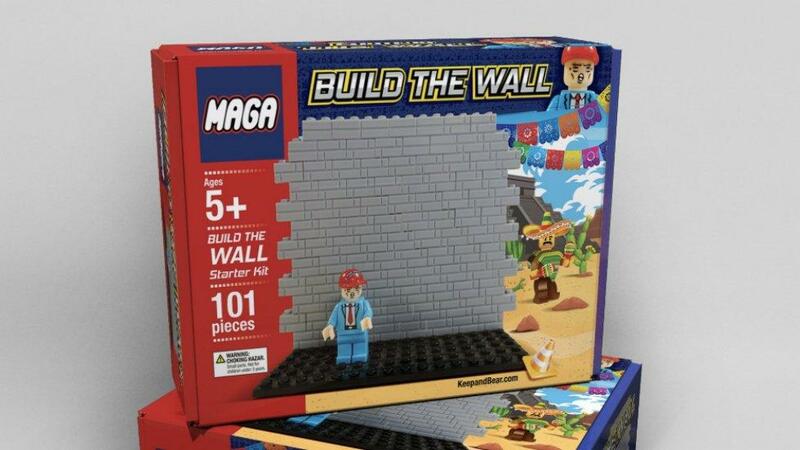 A conservative online merchant company Keep and Bear has a Christmas “treat” for its supporters and patrons- it is in the thick of preparations to sell a Lego-style toy set portraying the Trump administration’s controversial border wall plan. The toy set will not only feature a miniature border wall, it will also have a Trump figurine. The toy box set will also show a Mexican caricature wearing a sombrero and holding maracas. The company is only taking pre-orders for the toy set for now. Shipping is not to start until November 23. The set retails for $29.95. The toy set also has the “MAGA” and “Build the Wall” emblazoned on its box. Some Trump supporters have expressed interest and excitement over the product. Others mocked the toy and the idea behind.